Spica has never really been on my radar. Though I did like “Painkiller,” Spica never managed to make an impression and I forgot about them soon after. However, when I heard the teaser for “Tonight” I was actually intrigued. “Tonight” isn’t anything groundbreaking, but it’s definitely well-composed and Spica’s vocals shine. Prior to it’s release, the song was hyped because the lyrics were co-written by member Boa and labelmate Lee Hyori. I’m usually wary of such hype, but I was in for a pleasant surprise. The MV is pretty simple — Spica goes on a hippie road trip. There’s camping, guitars, a bonfire, and floral crowns! Joking aside, this MV does a great job of creating a fun, carefree atmosphere; this is the MV’s strength. Though I’ve described other music videos as fun, this is the first music video to show a ‘relaxing’ fun instead of a ‘party’ fun. You almost wish you could join Spica. The scenery is also gorgeous. The use of lights, both string and candles, creates a cozy atmosphere. The MV is also naturally lit with sunlight streaming in almost every scene. This, combined with the filter used in making the MV, makes “Tonight” pleasing to the eye. The way the images switch from scene to scene un-chronologically is reminiscent of how we perceive memories. When we remember a trip or vacation, we don’t recall everything in order. Instead, we focus on moments and flashbacks. Putting this into context with the use of smoke and steam to create hazy atmospheres, it seems as if the MV is presenting doubt. We know that Ju-hyun is not actually blowing a rose when she blows smoke but by combining digital effects into the MV, the viewer doesn’t know how much is real. Thus, I don’t entirely trust “Tonight.” While on the surface it seems like a wild and crazy vacation, the MV is suggesting that nostalgia and unreliable memories might be making this road trip seem better than it was. I do have some problems with this MV, though. The scene where Spica is (presumably) bouncing on a fitness ball is kind of weird because the ball is covered by a cloth — it was a strange scene. I also didn’t understand why the MV needed sexual undertones. After one of the girls unties her swimsuit, the subsequent scene is Ju-hyun dropping her ice cream and a pair of lips licking themselves; It was completely unnecessary. Even though Spica’s intent was probably to be liberating, it was still problematic because it detracted from the theme of innocent fun and instead felt dangerously close to voyeurism. The scene where Spica sway facing the wall (leaving us with a view of their backsides) is an example of a liberating and empowering direction; It’s not framed sexually at all. But the ice cream scene was and the MV would have been improved if it was eliminated. Spica probably thought that it looked cool and artsy because that is how this activity is portrayed in the West thanks to the emergence of Color Runs. What most people don’t know, though, is that Color Runs are appropriative of the Hindu festival Holi. Holi is celebrated in the spring as a time of goodwill and cheer. The boisterous showering of color is intended to spread love, kindness, and friendship. There are also prayers, gifts, and more. I don’t want to make this into a big deal because it’s definitely a lot less problematic than the use of bindis in K-pop. However, when I see this in music videos, both Korean and American, I can’t help but get rubbed the wrong way. Obviously, Spica was not trying to be offensive but it would have been nice if they hadn’t included their “fashionable” color-throwing. Now to the best part — the song. This song is pure quality. The more I listen to it, the more I like it. 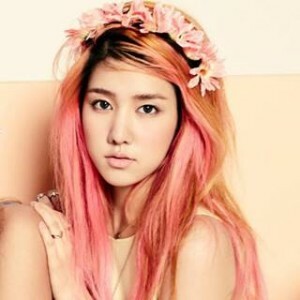 Spica’s voices are the focus of the song. Not once does the music overpower their voices, which commonly happens to other girl groups. In the beginning, Narae’s singing matches the build-up of the piano and guitar — slow and controlled. When the drums begin, Boa raises her voice to match and the anticipation for the chorus grows. It all shines on me and I dream once again. The sun that will rise tomorrow morning is for us. We tightly hold hands and it raises me up so I can sing again. The only part of the song that could use work are Ju-hyun’s verses. In another song they might work but unfortunately her choppy verses are located next to Boa and Ji-won’s parts. Alongside their powerful singing, Ju-hyun comes up short. Though there is not much plot in the MV for “Tonight,” just Spica having fun and enjoying themselves, they do it well and the MV isn’t boring. “Tonight” definitely feels fun and carefree, not forced at all. The song itself is great and a quality release from Spica. My favorite part of the song is the lyrics and I look forward to seeing Boa participate in song-writing in the future. I was pleasantly impressed with “Tonight”. The MV is genuine, the lyrics are great, and Spica’s voices shine. This song even made me go back and listen to some of their previous releases although none compare to “Tonight” still in my opinon. “Tonight” is a wonderful song and if Spica continues to put out quality releases, they’ll definitely convert more people into fans, just as they did with me.